A month has flown by and I haven't blogged............opps.........my apologies. It's not as if I don't have anything to blog about either I have plenty of house things to share with you. 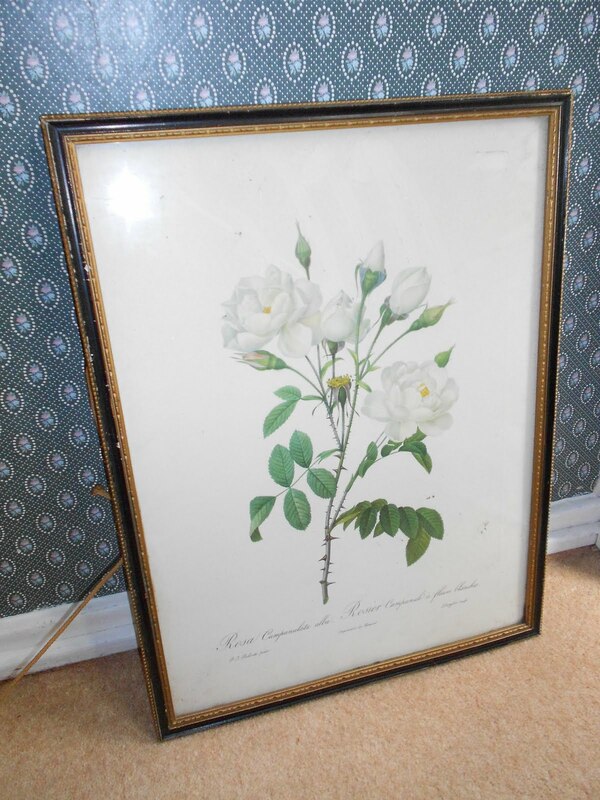 Today however I am going to share with you my new treasures that I have been hunting. When on a budget you can't just pop into town and hit the high street shops, you need to be a bit more creative! 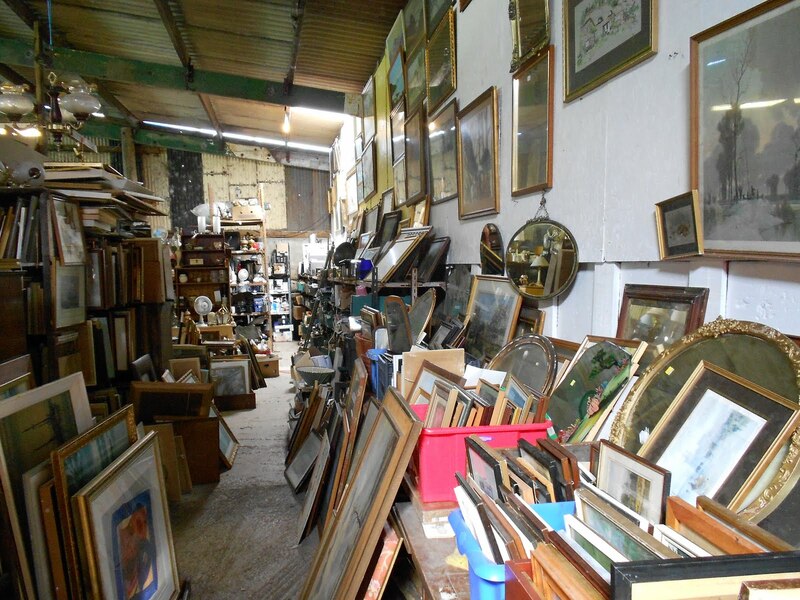 But when you do go to car boot sales and reclamation yards the excitement of "will I find a bargain or a fantastic piece of treasure" is as important as the price you get it for in the end! You certainly have to be in a certain type of mood to do this kind of shopping, it's almost more of a mission than a leisurely shop. Beady eyes at the ready and no nook or cranny left unturned! First on my list was Steptoes Yard, which is by St Cyrus beach in Aberdeenshire. I've been here only 2 or 3 times before and each time I come away with something. This time I was feeling slightly more ambitious and spent a bit more than the tenner I spent last time. Whenever I go to places like these I always have it in my mind that I don't want to pay very much for an item, however its not always junk that you do find. At the end of the day if you think its worth the price quoted and love it then why not? Let me add in here that I am USELESS at haggling! I know you should always haggle but I think my haggling gene was left out of my body. I physically can't do it! I dunno what it is, embarrassment perhaps? They quote the price and I stand there like a nodding dog! If you have never been to Steptoes Yard before it is massive and has so much stuff! 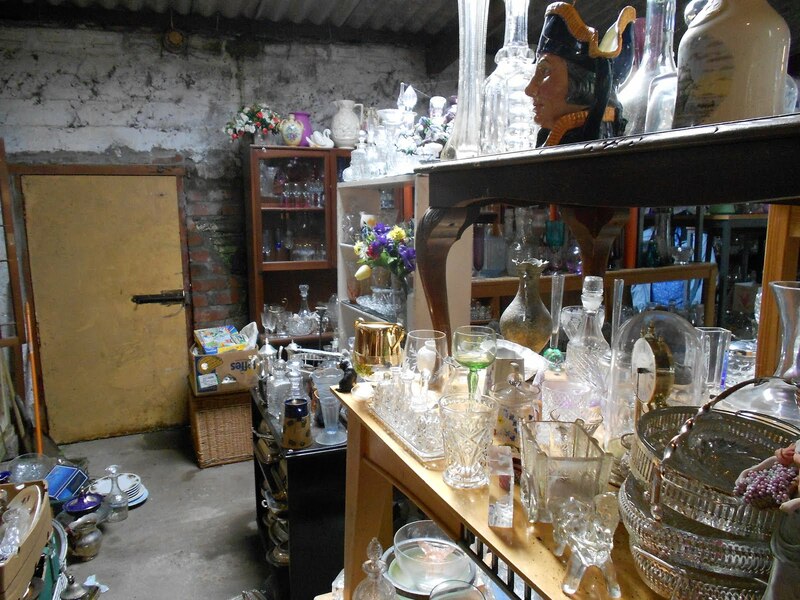 When you first arrive you are greeted by loads of crockery and plates all lined up on tables and lots of beyond their best garden equipment looking for some love. The outside is big enough but add to that a massive outhouse full of paintings, furniture and other assorted items and then a smaller warehouse full of glass and you begin to understand just how much stuff they do have. I swear some stuff has probably sat there buried for about 10 years! 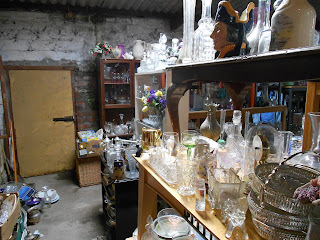 Still the rummaging is all part of the fun. Need a mirror? A painting? Delve in! ﻿﻿﻿﻿﻿So here is what I got! 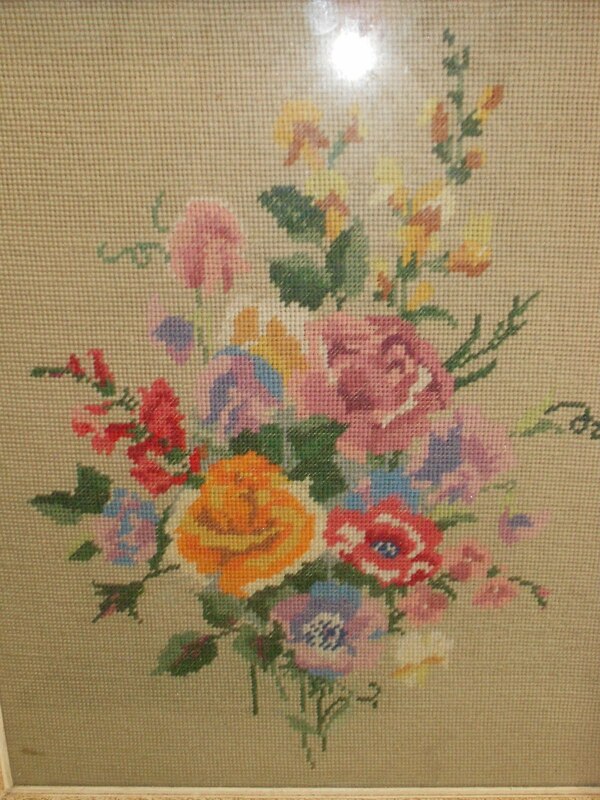 I loved the colours in this and more so the fact that it was a tapestry. 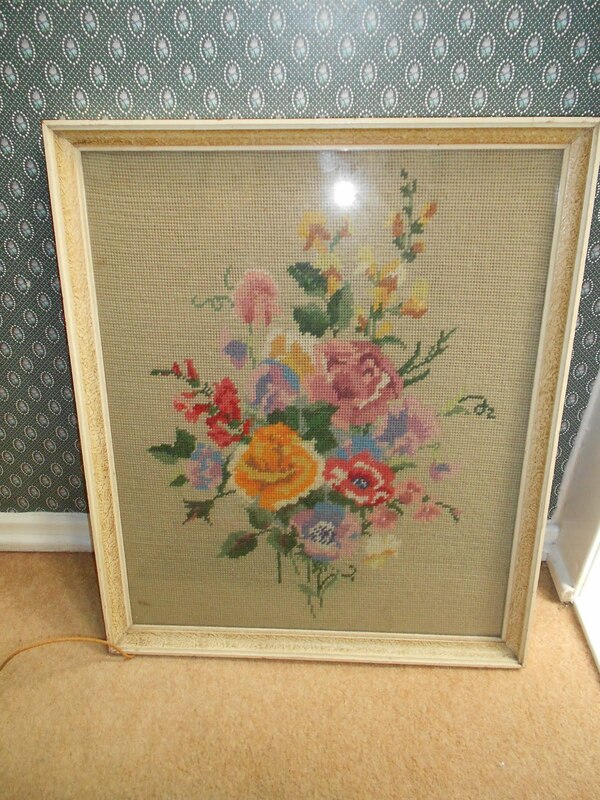 This will look really pretty in my bedroom, which is not quite finished yet but pictures will be up here when it is! 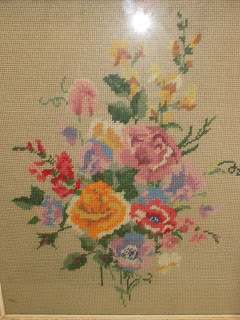 I was pretty happy to come across this as I have been trying to get some of these sort of prints together myself. Last month whilst in Inverness I visited an old second hand bookshop which was an Aladdins Cave full of old books. I spent ages rummaging around the gardening section looking for floral illustrations to frame. This was exactly the type of thing I was looking for! 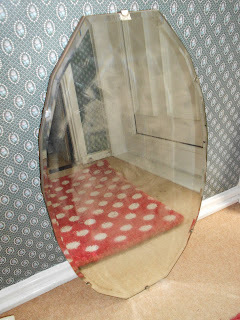 This isn't the greatest of photographs but I love these mirrors. I have seen them around quite a bit and wanted one for a while, luckily David managed to find this one at Steptoes. The best thing is there is no rust on this one like so many of the other ones! 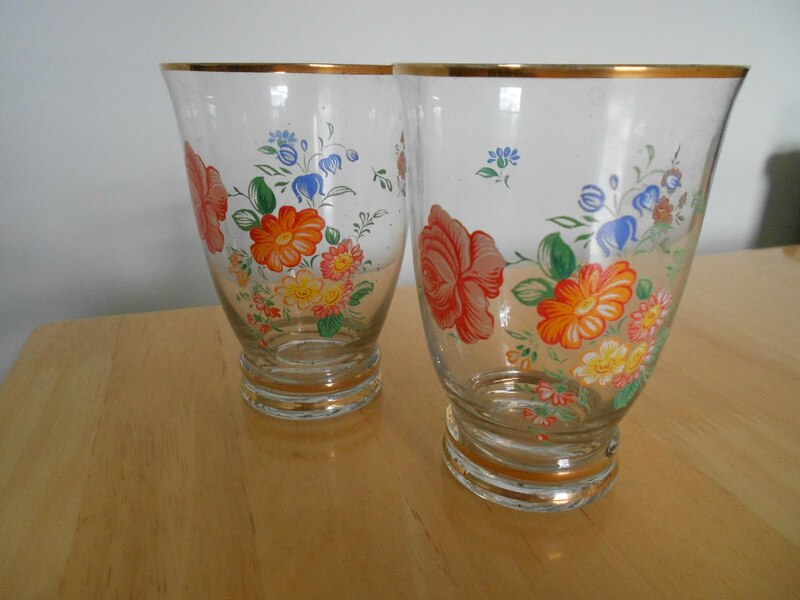 I couldn't resist these two lovely glasses. Ok so I'm guessing you got the fact I like florals then? 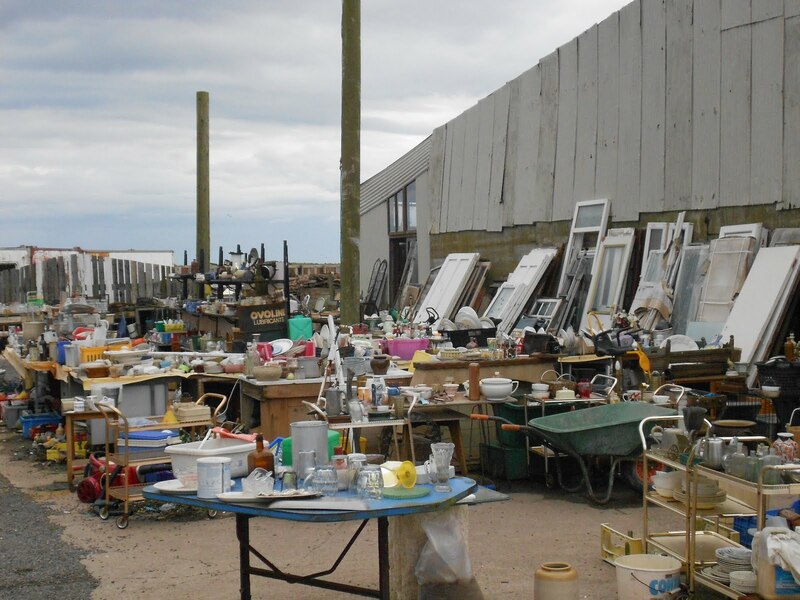 Next up was Thainstone Mart Car Boot Sales, held every Sunday out near Inverurie, Aberdeenshire. You really never know what you are going to find here. You want some second hand toys? Clothes? Pillowcases or DVDs and books? Maybe you want an old Singer sewing machine? A radio? you will probably find it here. I never like to think I will go home empty handed when I go on "my hunt" and so far I haven't! Here are this weeks treasures! 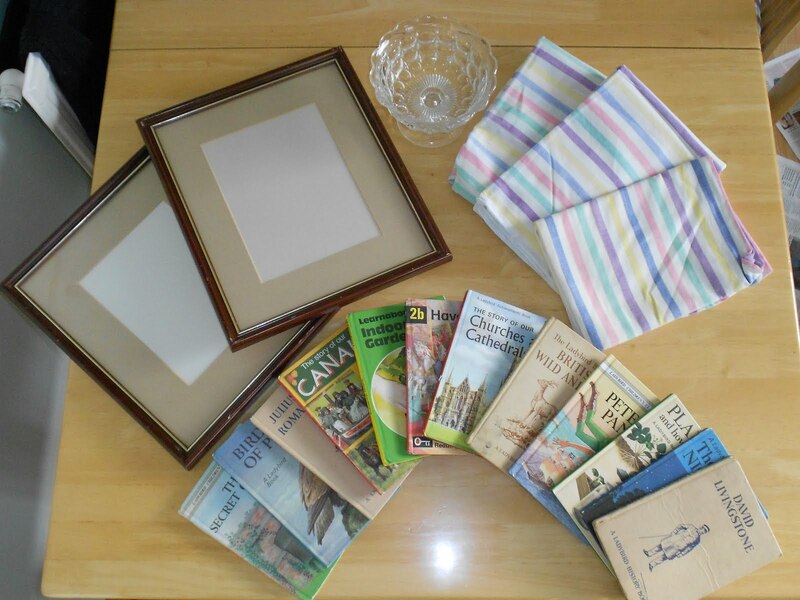 2 Large wooden photo frames, a glass container, 3 cool pastel stripey pillow cases and 12 old ladybird kids books! And how much did I spend on my treasures? £5.60! I'm pretty happy with that! 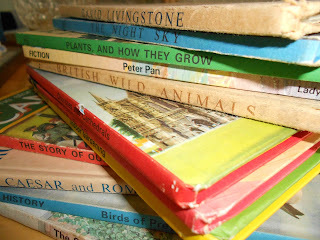 The Ladybird books in particular were my diamond fine! At 20p each I even got a discount because I bought the glass container too! 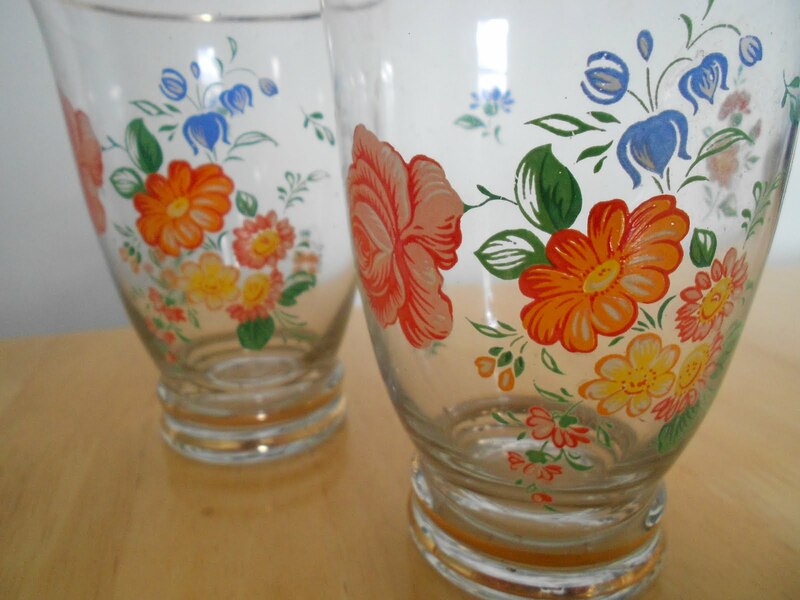 These were being sold for a whole lot more than that at an old second hand bookshop and Oxfam shop! So I leave Thainstone Mart a happy chappy (or lassie) with enough money to treat myself to some Jam Slices. Delicious!!!! Awesome finds, Cam! Especially jealous of those ladybird books!